When you are looking for presents you always want to go with something that is more personal, something that has feelings that just shows how much you care for the person on the receiving end. After all, it is said that giving brings more joy than receiving, except when it comes to our mugs, everyone loves our mugs. 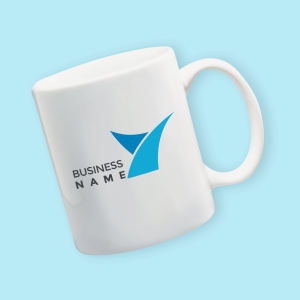 Take the opportunity to create a personalized mug for one of your friends or more. Our company does it your way and provides you with the highest quality service in the market. We are leaders in our domain in the UK, with great customer satisfaction. You will want the mugs for yourself than to give it. ez printers provide you with high-quality full-color mugs with high-quality prints on them. You just find an image and you will have a present ready in time for an occasion or a special event for your loved ones. Or get one for yourself and make your mornings easier with a puppies face on your coffee mug. Make your grandma happy with an image of her favorite grandchildren was never easier. Do Some Clicks and You will get your order soon at your door. All, you need to do after is to pack it in a nice gift wrap and give it to grandma and receive her warm smile. Or you can always calm down the tension between you and your mother-in-law with a custom made mug with the picture from you on the vacation at the seaside. As stated, You can gift our printed mugs to anyone. The whole family can have their own custom mugs with the images you want to put on them. Great quality and fast delivery. We pride ourselves with being fast and providing the best quality mugs and images printed on them. Very good quality mugs, fast service. Thank you. Very good quality mugs and print. See you soon. Classic and quality. Good customer service!